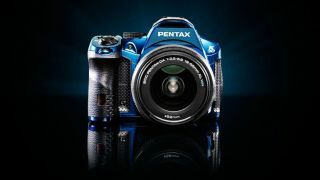 Following Ricoh's buyout of Pentax, it has been announced there will be a division in camera development. Noboru Akabane, the president of Pentax Imaging Ricoh said that in the future, all compact cameras produced by the company will fall under the Ricoh brand, while Pentax will concentrate on DSLRs and mirrorless cameras. Currently, Pentax DSLRs include the recently announced K-30, while mirrorless offerings come in the form of the K-01 and the Pentax Q. It also manufactures a number of compact cameras, including a tough compact, the WG-2 which features GPS tracking. Ricoh on the other hand has more recently focused on manufacturing compact cameras, although it does have one modular system, the Ricoh GXR, which features interchangeable "units" which contain both the lens and the sensor. It's not currently known whether this will continue to be developed, abandoned or manufactured under the Pentax brand. Although last week Pentax UK's Stephen Sanderson told TechRadar that it was his understanding that this line would continue. Earlier in the week, it was announced that Pentax would be distributing Ricoh cameras in the UK, so that there will be one point of contact for product ranges from both brands. Last year, Ricoh bought Pentax from its previous owner, Hoya, in a deal which was rumoured to be worth around $125 million. So far, there has been little evidence of collaboration between the two companies, but it's likely that any of the new cameras recently announced by Pentax have been in development for over a year.